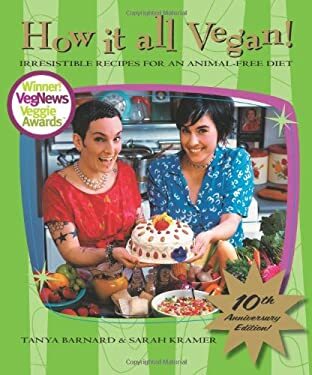 This 10th-anniversary edition of the book that introduced the tenets of vegan living and eating includes a new color-photo section and new recipes as well as a new Introduction by co-author Kramer. Used Very Good (4 available) 1551522535 Clearing Inventory! Book has minor flaw, like bent or scratched cover. Total Satisfaction Guaranteed. Quick Handling. We work every day but Sunday. Standard delivery takes 4-14 business days. Please note: Shipping may take longer if you live in Hawaii or Alaska, Puerto Rico or Guam. YOUR SATISFACTION GUARANTEED!